Wondering where the king of the Android custom ROM scene, CyanogenMod, has disappeared to? Find out more about its successor, LineageOS and how you can get it right now. For as long as the Android OS has existed, so has the community looking to tinker with it. 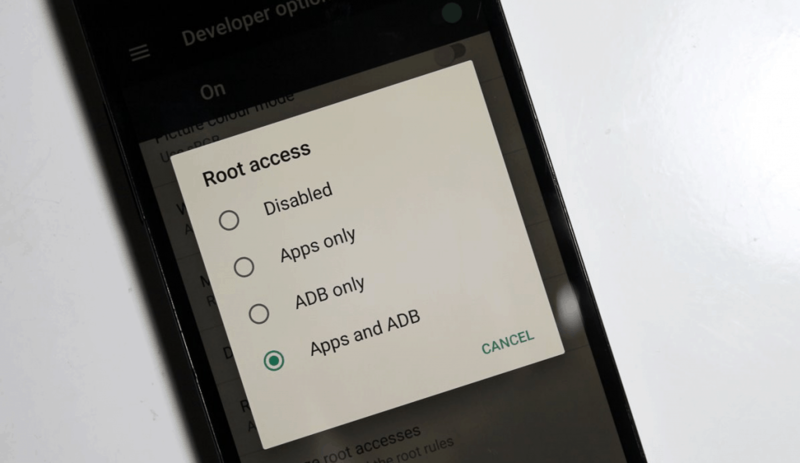 The open-source nature of Android has paved the way for infinite customizations through rooting, which is the first step to true liberation on route to installing an Android custom ROM. Such ROMs have existed since the beginning, and CyanogenMod was a pioneer. Founded by programmer Steve Kondik (aka Cyanogen), CyanogenMod rose to prominence during the Android 4.2 Jelly Bean era. With support for tons of devices in its prime, how did CyanogenMod end up six feet under? Since CyanogenMod was more than just the people that originally built it, it’s managed to live on in another form of LineageOS. From what makes it a cut above the rest, to how you can get it running on your Android device, here’s everything you need to know. Google marketed Android as the next great platform for mobile devices in the face of the mighty iPhone. Since Android isn’t closed-source like iOS, it eventually inspired developers to create their own versions AOSP (Android Open Source Project), distinct from what is offered by Google. 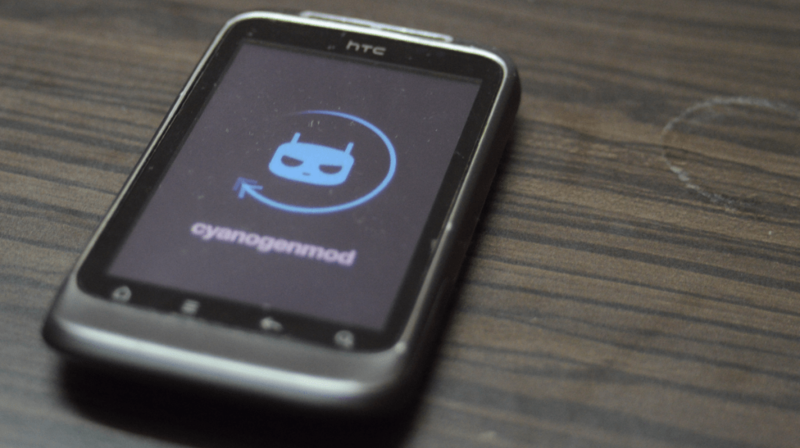 CyanogenMod (CM) was one of many custom ROMs, built with the purpose of offering more than Google and other Android OEMs did. CM was able to enhance performance, extend battery life, and add support for myriad customization options baked right into the software. If you ever flirted with the possibility of rooting an Android device, it’s likely you’d have heard of CyanogenMod. The first version of this Android custom ROM came out for the HTC Dream and HTC Magic back in 2009. However, it wasn’t until CyanogenMod 7 that it really took off, introducing many advanced features. CyanogenMod offered a workaround for a major issue of Android devices that is still just as relevant today, namely software fragmentation. Back then, even with the mobile market evolving swiftly, Android devices rarely saw more than one major version. Having a Galaxy S3 decommissioned after just one major software update, for example, would have been incredibly frustrating. But that’s where CyanogenMod came in. The S3 could be updated all the way up to Android 6.0 Marshmallow, all thanks to the custom ROM. It didn’t take too long for thousands of Android die-hards to realize the potential of a community-backed Android OS vendor. CyanogenMod adopted Google’s aesthetic elements to offer a “pure Android” experience. Soon enough, several Android OEMs decided to outsource their software needs to the creators of this Android custom ROM, giving rise to the commercial wing – Cyanogen Inc. It all looked bright for Cyanogen Inc. as it became the official software provider for Android newcomers such as Oppo and its offshoot of OnePlus. While they were quick to adopt CyanogenMod, they were equally swift to drop it soon after. Internal strife between Cyanogen CEO Kirt McMaster and Founder Steve Kondik came to a head, and so did the software deal with OnePlus. The company that once hoped to compete with Google and offer its own vision of Android finally closed its doors in 2016. The end of Cyanogen Inc. subsequently led to the closure of the CyanogenMod open-source project and all associated software support. Going from a community-fed Android custom ROM to a software company did not work out as planned. This is when the developers behind CyanogenMod decided to go back to the drawing board. Soon after, LineageOS was born. 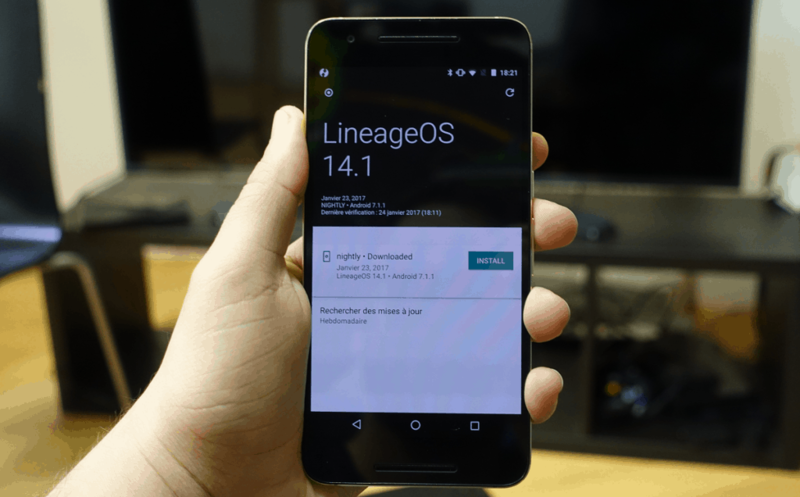 Going back to its roots with a user-driven platform, LineageOS covers nowhere near the number of devices that CyanogenMod did in its heyday, but it’s on its way to again being what CM was always supposed to be, and Cyanogen (Kondik) himself is backing it. What makes LineageOS stand out? The main idea behind installing a custom ROM is the ability to upgrade an otherwise no longer supported phone the latest version of Android. Each ROM offers a unique set of design customizations and features; some are simple, some are much more elaborate. CyanogenMod popular because it kept things simple, with a lightweight and minimalist design, and that’s something Lineage OS stays true to. By listening closely to its community and developing useful features, LineageOS is also able to offer more than most other custom ROMs. Although the latest Samsung Experience UI used on its Galaxy smartphones is much more palatable than the much-maligned TouchWiz, it still doesn’t come close to the simplicity and speed of stock Android. LineageOS maintains the same sleek and elegant pure Android experience that you’ll find on Google’s Pixel or Nexus devices. Developers have made sure that you get none of the bloatware that other Android OEMs force on their users. From meaningless carrier-bundled apps to services you simply have no use for, you get none of it with LineageOS. Even when the custom ROM is not 100% stable, you get “nightly” beta builds to keep to keep improving the experience. LineageOS 15 is already out for hundreds of devices, offering Android 8.0 Oreo sooner than most manufacturers do. Touchscreen gestures were a big deal on the OnePlus One, and LineageOS now brings a wide range of them. Some of these are available from most OEMs, like the ability to turn off the screen with double tap and turn, but there’s even more that can be done. For example, in LineageOS, you can draw an “O” on your screen to open the flashlight or a “V” to launch a particular app. Although Google and other OEMs are beginning to include more display calibration options, it’s still not a widespread feature. With the help of LineageOS, you can get more out of your device’s display and calibrate it for the best visual experience possible. The LiveDisplay feature allows you to toggle through different display modes. This automatically adjusts the color temperature of the screen based on the time of the day. You can manually set the color temperature of the screen for day and night times, and even enable outdoor mode for better visibility under sunlight. You also get RGB color calibration and power-saving features for the display right out of the box. Android is all about customization, and the spirit of CyanogenMod lives on through LineageOS, thanks to the “Interface” menu in the Settings app. This allows you to customize the status bar, quick settings panel, notification drawer, and the navigation bar. For instance, you can tweak the status bar to turn on or off the quick pulldown option, bring up a notification counter right on top of the screen, edit the icons that are shown, and even change the positioning of the elements. For devices with on-screen navigation buttons, the nav bar tweak lets you reposition the keys, and even customize what a navigation key does when long-pressed. Unlike CyanogenMod where Superuser access was offered by default, LineageOS is a bit more conservative. You won’t get root access right out of the box, but you can flash the SuperSU file provided by LineageOS. You can just as easily unroot your Android device on LineageOS, too, by flashing another file through custom recovery. Unlike SuperSu on a regular Android device, you get full integration when using it on LineageOS. The Superuser menu is available in settings so you can configure and check which apps and services have Superuser access. Depending on your Android device and the version of LineageOS you flash, you’ll experience some serious improvements. Since this custom ROM is based on Android 7.0 Nougat, you also get the battery-friendly Doze mode to help you get more hours out of every charge. For some, LineageOS is the only way to resurrect a forgotten Android device. On an old phone that’s past its warranty period, you’ve really got nothing to lose by installing a custom ROM. But if you’re planning to install LineageOS on a newer Android device, here’s a word of warning first. Disclaimer: Since LineageOS is an Android custom ROM from a third-party developer, you lose your device warranty when flashing it. Tinkering with the recovery mode and the software of your Android device can cause it to brick, so proceed with caution. We’ve tried out the LineageOS ROM first-hand, with no issues flashing it at all. If you do face any troubles, our band of geeks over at the Updato Forum is always ready to help. Now that’s out of the way, let’s get started. An Android device that will work with LineageOS. Here’s the entire list of supported phones and tablets. Custom recovery such as TRWP or CWM installed. Google apps (OpenGApps) package for LineageOS (from this page). Since you’ll be flashing a new ROM on your Android device, we suggest you make a backup of all your data. Also, make sure to have your phone charged up to 80% since the flashing process could take a while. You’ll need to save the LineageOS ROM file and the OpenGApps file on the local storage of your Android device. If you’re looking to root as well, make sure to download the “su“ file for your specific Android device from the official Extras page. Turn off your Android device and wait for it to power down. Press and hold the Volume Down + Power button, then wait for the device to turn on. 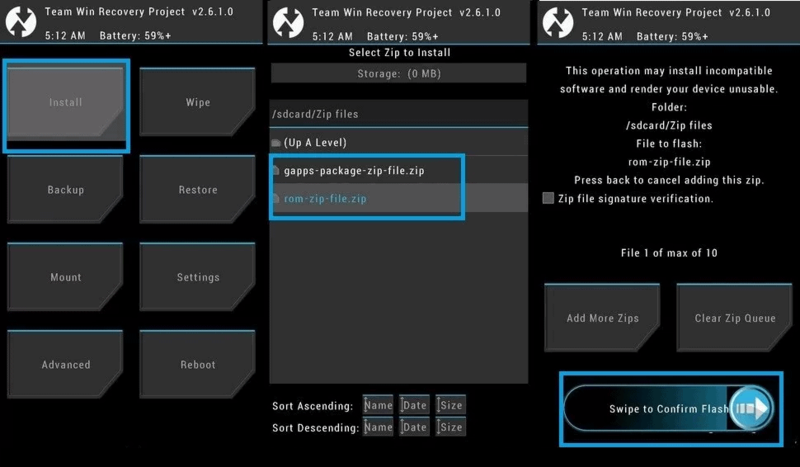 You’ll now be able to see the custom recovery menu, which in our case is TWRP (Team Win Recovery Project). Now you must use the navigation options in the custom recovery screen to locate the LineageOS ROM file and flash it. Tap on the “Install” button and navigate your way to the LineageOS ZIP file. Use “Swipe to Allow Modifications” to flash the LineageOS ROM on your Android device. The process will take a few minutes to complete, so be patient. You’ll then see the option to “Wipe cache/dalvik”, so press the button and confirm by swiping once again. At this point, your Android device is all set to run LineageOS, but you’ll still need to flash the OpenGApps package to get all of the Google apps and services. Tap on the “Install” button and navigate your way to the OpenGApps ZIP file you’ve downloaded. Use “Swipe to Allow Modifications” to flash the OpenGApps file on your Android device. Press the “Wipe cache/dalvik” button and confirm by swiping once again. Use the same steps to flash the su ZIP file if you wish to gain root access to your device. With the Google apps bundle flashed, you can go ahead press the “Reboot now” button. The first boot-up process will take a few extra minutes, but you’ll see the LineageOS logo show up soon enough. Since there are dozens of devices supported, having trouble while flashing LineageOS is quite possible. Let us know of any issues you’re having and we’ll do our best to help. If you do try LineageOS after reading this, be sure tell us what you think about it in the comments below. Happy ROMing.